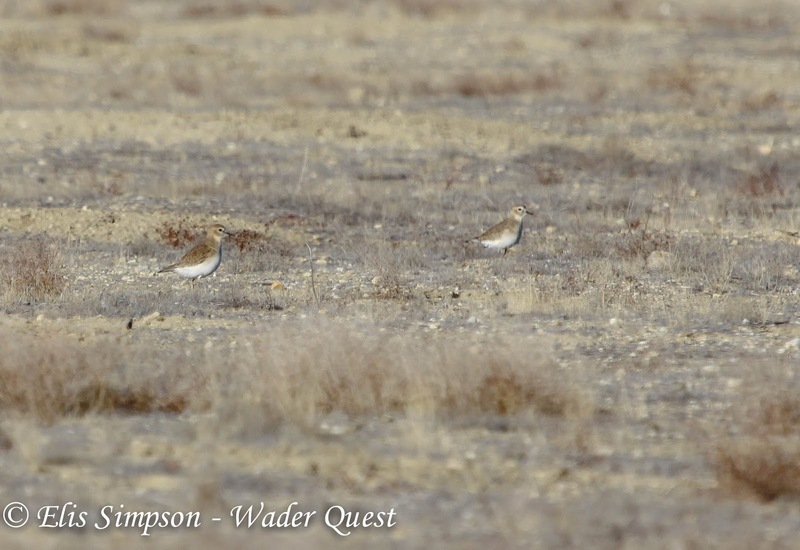 Wader Quest: Five new birds in three days. Five new birds in three days. 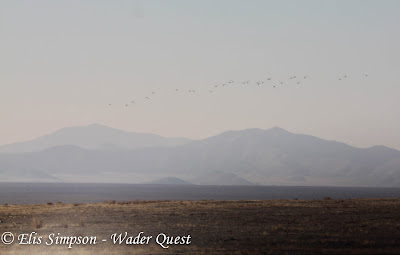 Spent the night near Long Beach airport and headed for the Carrizo Plain in the morning. The target for the day was Mountain Plover. We didn't have much optimism as we headed north from Los Angeles, although we had quite specific information, we were not sure that we would find the right spot. When we finally arrived in the valley it all fell into place and the birds were found pretty much where they were supposed to be. 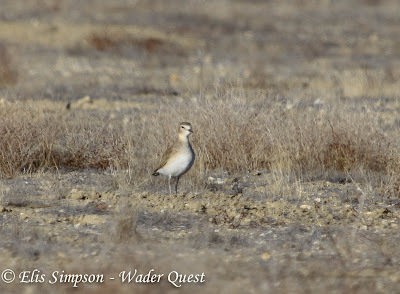 Mountain Plover, Carrizo Plain, California. We found a group of six at first, followed by another two on the other side of the track, a little later we saw a group of 29 in flight. 29 Mountain Plovers in flight over Carrizo Plain. Considering the size of the valley and the size of the birds it amazed me that we found any at all. These birds are near threatened and we were really pleased to have had the opportunity to see them thanks, once again, to our good friend Knut Hansen who gave us the details. 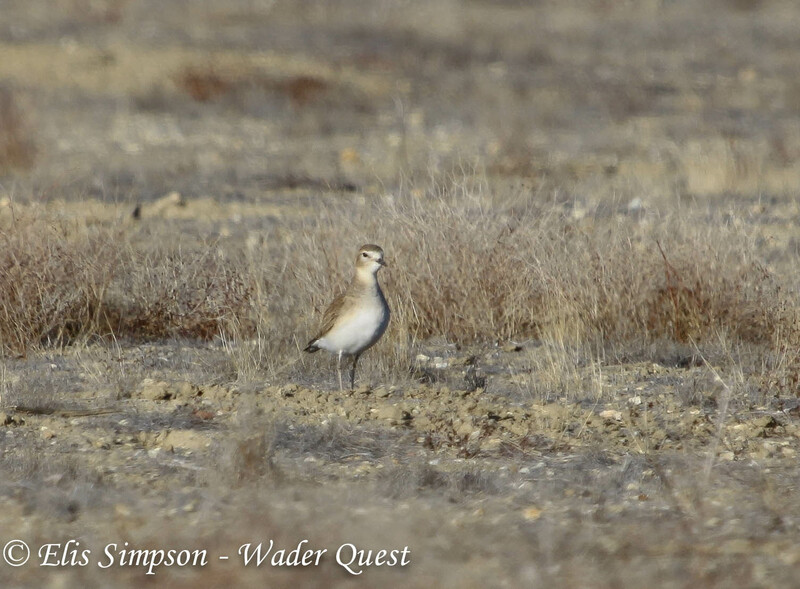 Mountain Plovers on the Carrizo Plain, California. The next morning, after the compulsory stop off to see the famous Hollywood sign, we headed south in the direction of San Diego. On the way we stopped at a great coastal reserve called Bolsa Chica Ecological Reserve. It was here that we bumped into the hoped for Long-billed Curlew as Knut had suggested we might. Long-billed Curlew Bolsa Chica, California. Arriving in San Diego with barely 30 minutes of daylight left we headed straight for the place that our host in San Diego, Gary Nunn, had suggested we try; Robb Fields. 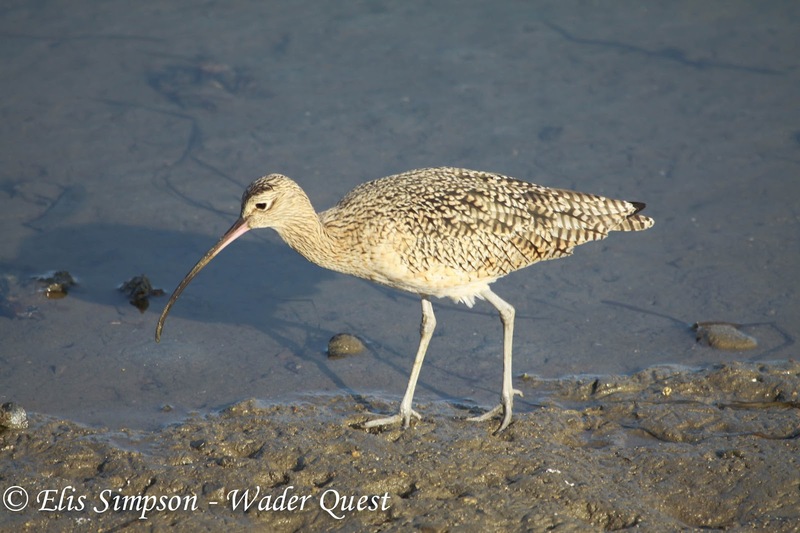 It turned up our first Hudsonian Whimbrel. 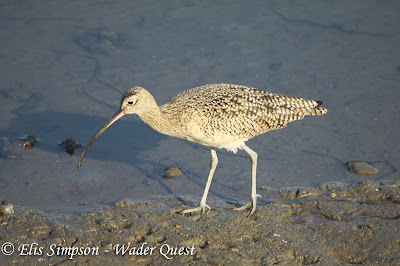 Hudsonian Whimbrel Robb Field, Sand Diego, California. The following day, with Gary Nunn guiding us we set off with little hope of seeing our wished for species. 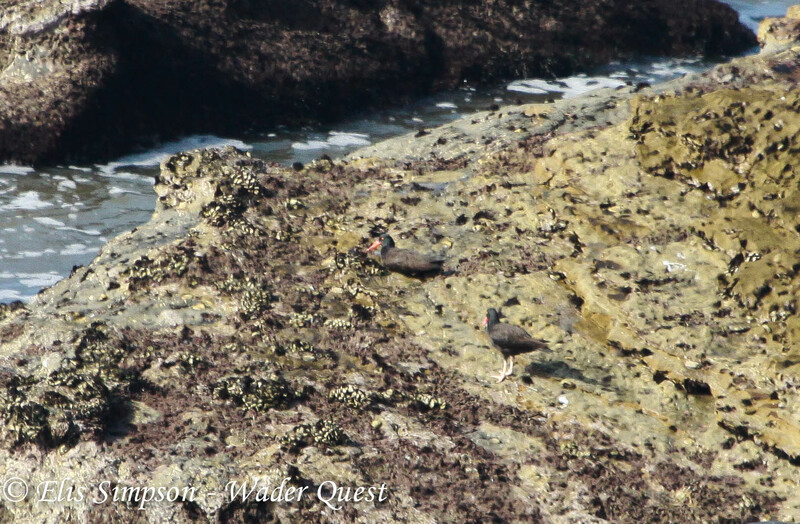 The previous evening we had talked about what we still needed to see and Gary had not been very encouraging saying it had been weeks since anyone reported a Wandering Tattler and that there were only three known individual American Black Oystercatchers in San Diego county. "Two Wandering Tattlers on the rocks!" So much for being difficult, we had seen them within minutes of starting the day! 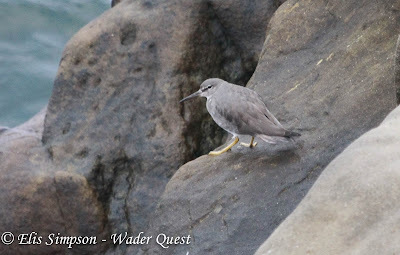 Wandering Tattler La Jolla Cove, San Diego, California. Then we did some general birding working our way across to the Cabrillo National Monument, it was here that we had hoped to find American Black Oystercatcher. We saw Wandering Tattler and Black Turnstone, but no oystercatchers until as we watched the tattler fly around the headland a black bird with a stonking great red bill flew across our field of view. Elis and I simultaneously shouted "Black Oystercatcher!" and watched as not one but two landed on a very distant rock. 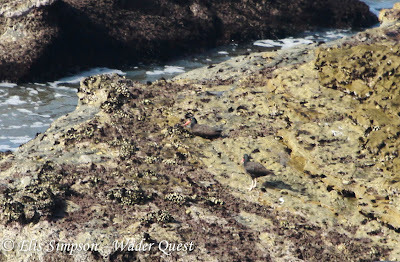 Here were two of the three known American Black Oystercatchers in San Diego county! you saw how far away we were! 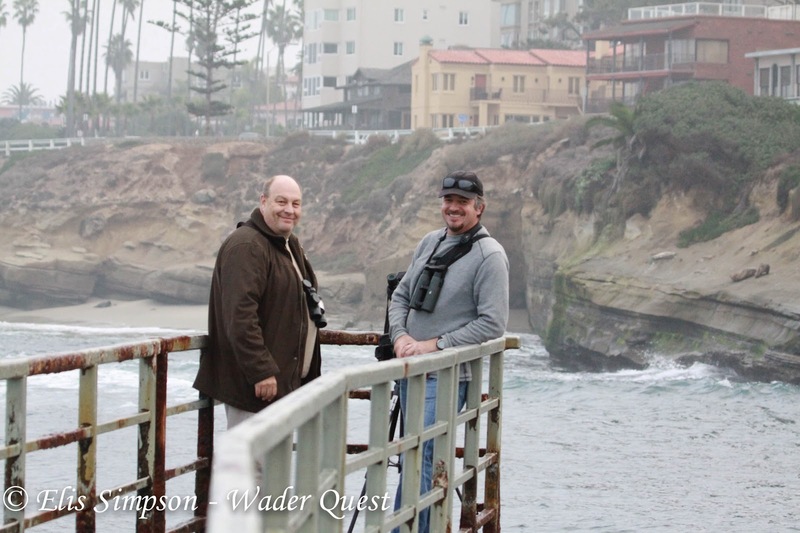 We were thrilled with our luck, both of these rare birds that we had been assured we should be prepared to dip on had been added to the WQ list before lunch on the first day in San Diego. The WQ list now stands at 77. Glad you enjoyed San Diego. I love seeing whimbrels. 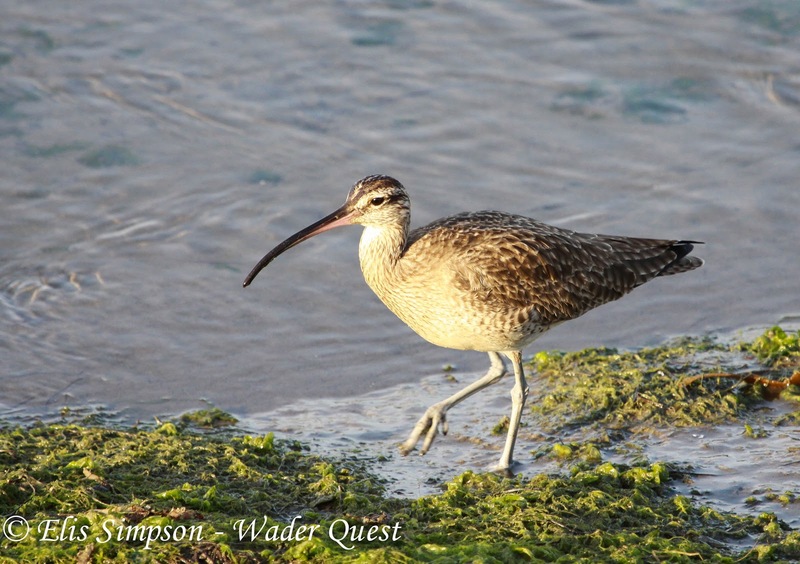 I have been trying to find that wandering tattler for a long time now! He just keeps wandering. Thanks for your comment. 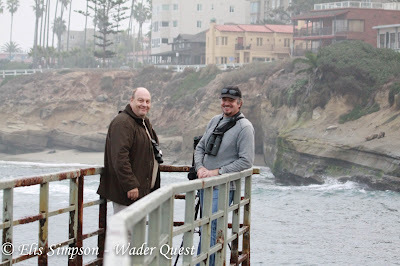 We really did enjoy San Diego very much. The birding around there is so good. Being n the coast and so close to the mountains is a real boon for birders. As for the tattler, we were incredibly lucky to see it I think, when we arrived we were told it may not be very easy but we saw it straight away in the morning.